I hate having to confess to giving up on any book, especially one written by an author whose work I admire. 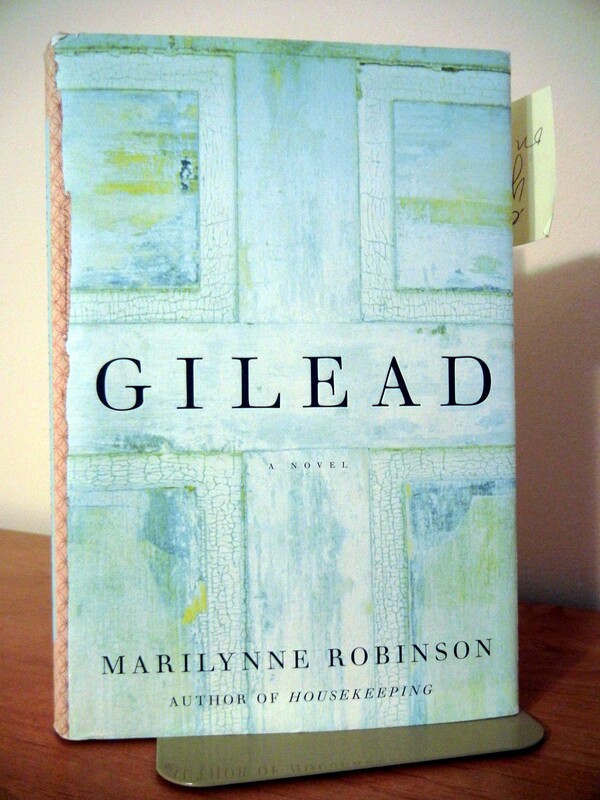 But Gilead, by Marilynne Robinson, defeated me. I think it was the epistolary format that just stopped me cold. For a long time it sat solidly on my ‘To Read’ shelf in my study – a constant rebuke. I finally put it in the guest bedroom so I wouldn’t have to wilt beneath the image of that wooden cross, reminding me that I should give it another try. There is a balm in Gilead, but not for me. Not yet. Maybe later. This entry was posted in Books, Review and tagged 10th century, Greenland. Bookmark the permalink. OMG, clutching my pearls! One of my favorite books. Ever. First I read it, then I listened to the audio book, then reread it again simultaneously with the companion book Home for the parallel POVs. Now I read she has written Lila’s story, and I’ve preordered it from Amazon. Oh, well. Different strokes, etc. I’ve disliked some of the books my friends love and vice versa. I hated The Da Vinci Code and Twilight. Doesn’t mean we’re not a nice people, just like different things. And thank goodness, Kilian, that we DO like different things! If not, we’d be living in a Borg-like hive-world.